I highly recommend Dr. Moyles and his caring, professional staff. He immediately diagnosed my broken finger with a quick digital x-ray in his office. Dr. Moyle's kind, easy going manner puts his patients at ease. While the office seems to run smooth and patients are seen in a timely manner, Dr. Moyles takes the time to explain everything cleary and answer any questions you may have. As I left today, I thought, "Wow, a great doctor with such caring bedside manner! I would imagine he is loved by patients of every age." Dr Moyles is amazing! He was able to diagnose me with severe kienbocks disease and carpal tunnel and performed surgery to reduce my pain and improve the function in my left wrist. Everything has healed beautifully! I wouldn't go to anyone else! This is the best health care professional team I have ever seen! Dr. Kyle joyfully saw my 2 year old son for a fractured arm and provided exceptional care. My family and I were so impressed all around at the cleanliness of the office and the genuine care the office staff has for their patients. Highly recommend seeing him!! My first visit (3/16/16) with Dr. Moyles was excellent! 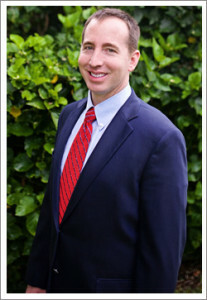 Dr. Moyle, his office and medical staff were professional, caring and knowledgeable. They took time to answer my questions and made sure I was comfortable with their policies and overall services. I am very selective and have a high expectation bar when choosing my medical providers, with this said, Dr. Moyle practice's is among the best. Overall, this was a delightful experience and without hesitation I would recommend Dr. Moyle and the Melbourne Hand Center! Great Dr. Made me feel at ease. FOR having surgery, He made it a good experience. Dr Kyle Moyles is an all around great Doctor. He has a very good personality. Sat down with me and explained my injury to me and my options. His staff were all very nice as well. They got me in quick and doctor Moyles did my surgery right away. He also took the time to talk to my husband after my surgery. Then also came to see me. He really cares for his patients. I would recommend him hands down ( no pun intended) another great thing is that he has a sense of humor. Dr Kyle did 2 different surgeries on me. Both went perfect. Recovered faster than expected and have full use and function of my hands. I don't usually recommend drs., but in this case I HIGHLY RECOMMEND DR. KYLE MOYLES. VERY KNOWLEDGEABLE AND PROFESSIONAL. .
Love the front desk lady. Her voice on the phone even sounds like she is smiling. No problem getting an appointment. No unreasonable wait. Dr was friendly and approachable. Gave me choices on treatment and left me feeling very comfortable with decisions. All in all, a good experience. Scheduled appointment and was surprised to get in almost immediately. My PCP had performed an MRI, but as soon as Dr Moyles walked in the room he told me what my issue was and gave treatment options, prior to looking at the MRI, and he was dead on. He gave options and I requested surgery as soon as possible so as to regain use of my hand. They scheduled it for 5 days later, and yesterday I had the procedure done. Dr Moyles was patient, kind, and explained what he was doing as he did it. This morning I was stunned when my phone rang and it was Dr Moyles personally calling to see how I was doing! I'm impressed. My hand already feels 10x better than before the procedure. While I hope not to need his services again, I'd go back to him in a second with any issues.